International Family Law: Will the Supreme Court Resolve the Meaning of Habitual Residence? 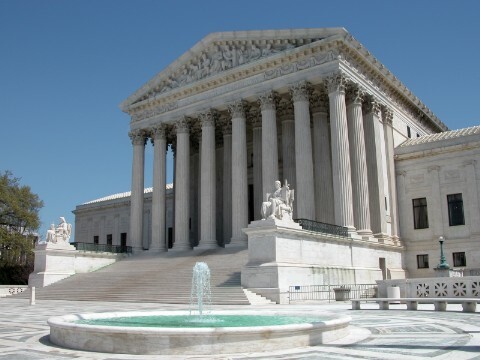 Will the Supreme Court Resolve the Meaning of Habitual Residence? Tom Wolfrum and I have petitioned the U.S. Supreme Court in the 9th Circuit case of Murphy v. Sloan for a writ of certiorari on the issue of the interpretation of habitual residence in a Hague Abduction Convention case. The petition may be accessed through Westlaw at 2014 WL 6737443. 1. The Supreme Court has never interpreted the term “habitual residence”, which is the key term of the Hague Convention. The Court has refused previous petitions on this issue on at least two occasions. Once the date of the wrongful act has been set, a finding of the child's habitual residence is the first issue that must be decided in every case that is brought pursuant to the Convention. 2. There is a gulf - that has widened dramatically in the past few years - between the majority U.S. interpretation of that term on the one hand versus, on the other hand, the diametrically opposed interpretation of the United Kingdom, continental Europe, most of the rest of the world and a minority of U.S. Circuits. 3. Moreover, the U.S. majority interpretation is clouded with uncertainty because, given the lack of any interpretation from “on top,” many “variations on the theme” have spawned. (i) There is great uncertainty throughout the United States concerning the correct interpretation of the term habitual residence. (ii) Recent Circuit Courts of Appeals decisions on point have not resolved or ameliorated the continuing split among the Circuits and resulting confusion. (iv) The United States is in breach of its treaty obligation under the Hague Convention to promote a consistent interpretation of the Convention and to afford “considerable weight” to the opinions of our sister signatories in interpreting any treaty. Abbott v. Abbott, 130 S.Ct. 1983, 1993 (2010). (vi) There has been an explosion of litigation concerning the interpretation of habitual residence in Hague cases in the United States. (vii) There has been a surge in appeals to circuit courts on the issue of habitual residence. (viii) Hague cases have become far more expensive to litigate than would be the case if the meaning of the term habitual residence had been clarified. (ix) Hague Convention cases take far longer than would be the case if the term habitual residence were clear. By delaying the resolution of Hague Convention cases, the United States is in derogation of its treaty obligation - clearly recognized by this Court in Chafin v. Chafin, 133 S. Ct. 1017, 1027-1028 (2013) - to resolve such cases expeditiously. ( See Hague Convention, Article 2: “Contracting States shall take all appropriate measures to secure within their territories the implementation of the objects of the Convention. For this purpose they shall use the most expeditious procedures available”; Hague Convention, Article 11: “The judicial or administrative authorities of Contracting States shall act expeditiously in proceedings for the return of children. If the judicial or administrative authority concerned has not reached a decision within six weeks from the date of commencement of the proceedings, the applicant or the Central Authority of the requested State … shall have the right to request a statement of the reasons for the delay.”). (x) Likewise, as a result in significant part of the confusion and difficulties in applying the term “habitual residence,” the judicial authorities in the United States are often in derogation of the Congressional mandate that Hague Convention cases should be concluded promptly. The just-enacted Sean and David Goldman International Child Abduction Prevention and Return Act of 2014 requires the U.S. State Department to scrutinize more diligently the performance of other countries in returning abducted children expeditiously and to employ enhanced methods to cause non-complying countries to improve their performance, Congress also recognizes that “people in glass houses should not throw stones.” Accordingly, the new law expressly states that it is, “the sense of Congress that the United States should set a strong example for other Convention countries in the timely location and prompt resolution of cases involving children abducted abroad and brought to the United States.” Sec. 2(b) of ICAPRA. (xi) The pending case exemplifies the problems that arise in this regard. The child was taken from Ireland to the United States for the summer, 2013. Her mother filed her petition on September 3, 2013. The only significant issue in the case is that of habitual residence. The mother diligently prosecuted the case and asked for expedited determination of the appeal, but the Ninth Circuit did not rule until August 2014 and the child is now missing a second year of school in Ireland. While the United States expects other countries to meet a target of only six weeks, including appeals, our conflicting and confused interpretations of habitual residence cause our own courts to miss the target by an embarrassingly excessive extent.